The ideal greeting card for the special lady going on a girls vacation! Don't let her forget the essentials! Also available for that oh so special newly wed bride that is about to leave for her honeymoon! 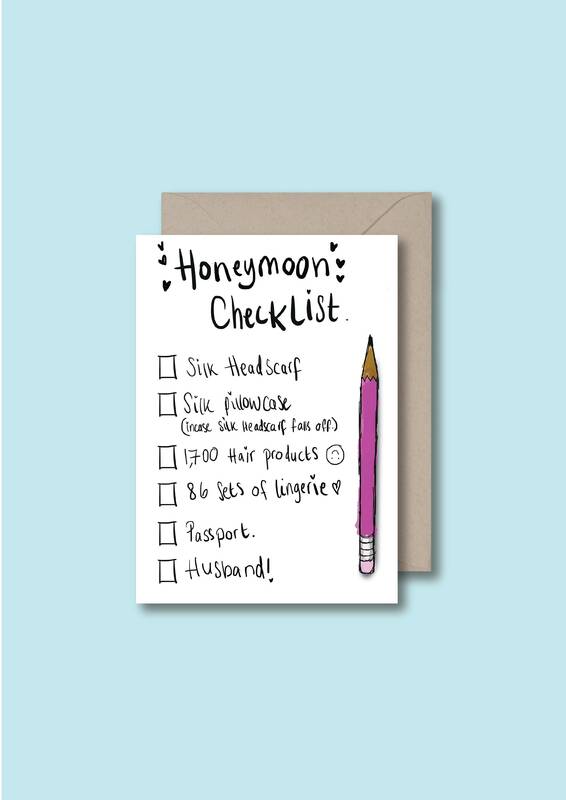 These holiday checklist postcards are brilliant!! I got in touch with Cherelle about making some personalised ones for my younger sisters and she couldn't have been more helpful. She asked me all the questions she needed in order to ensure she could create the best product possible, and also kept me up to date with when they would be made/dispatched etc. Once dispatched, they arrived almost immediately and I couldn't believe the quality of them!! The care and attention that goes into these products is phenomenal, and Cherelle should be really proud of what a great business she has created here! !